Source: e-ARC provided by the author in exchange for a fair and honest review. Taken from her family at birth, and raised by the mystic Sisterhood, Anne understands she will fight the demons for the rest of her life. Often referred to as the Weird Sister, Anne longs for a life she knows she can never have and dreams of her five guards affections although she believes they hold her in disdain. She couldn’t be more wrong. Bryant, Mason, Garrett, Kieran and Milo see Anne for who she is and they’ve loved her every day they’ve known her, although they can never see her face. 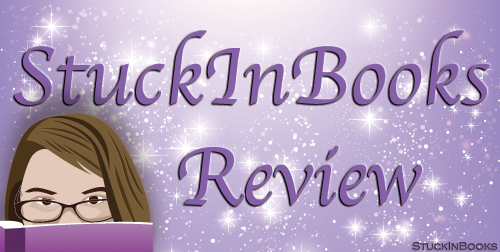 Fate has chosen them as her beloveds and when the already destroyed world falls apart, they will see they are meant to be…and that maybe all hope is not lost at all. Maybe it is just the beginning. I'm a huge fan of reverse harem books and Rebecca Royce in general -- so mixing those two together is one of my favorite things. First with the Wings of Artemis series, and now with this first installment in the Last Hope series. Tradition Be Damned was honestly so damn good. The premise in and of itself was so cool. It's post apocalyptic and paranormal and super interesting. There's demons. And possessions. And other things that were right up my alley. And of course I loved the structure of five guards to a Sister (thus, of course, leading to the perfect situation for a RH). Rebecca Royce's writing was just as addictive as always. Even with having to learn about the new world presented in this first installment, I was drawn into the book right away. And from there, I flew through it without feeling like it dragged. On the contrary, actually, I was dreading the end because I didn't want it to be over. The characters and their relationships were FANTASTIC. I really liked Anne. She was kind and strong and caring. And all of the guys were absolutely worth all of the swoons. They were sweet and protective and devoted and made my heart so freaking happy. I loved reading about them with Anne. 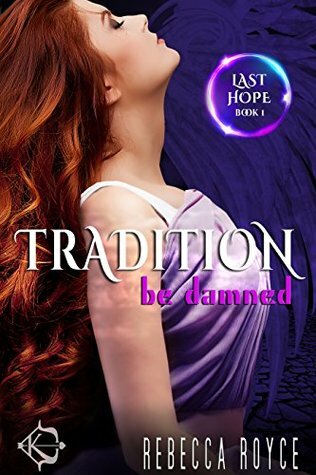 Overall, Tradition Be Damned is a top notch series beginner with delicious RH romance and an awesome premise. I LOVED it, and I am so incredibly pumped for book 2! 5 stars - So damn good!